When I tell people I do sewing or that I do engineering, there’s often a surprised expression. In the case of engineering, it’s mainly the “man’s world” thing – it’s a bit of a rarity to see a female mechanical engineer. When I tell them I sew, I think people are surprised as it’s seen as a very useful but unusual hobby. A bit like telling someone that you, an adult, can play an instrument (which I can’t do at all!) up to some sort of proficiency – it’s a hobby that most people try as a child but give up when they hit puberty. 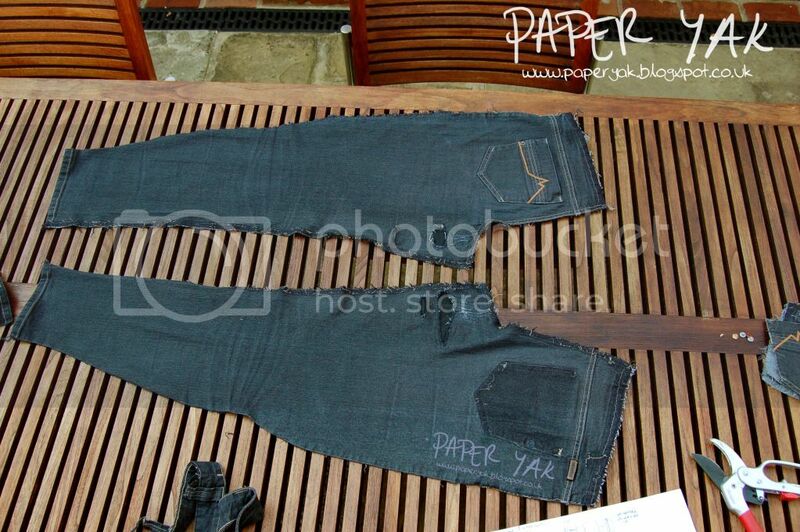 Notice the ripping that made these jeans too knackered to wear. Also notice the wonderful patching! A very useful technique in engineering is to take something apart. It’s what we start doing when we are very little and it helps us grasp the concept of how something would fit back together again. Take it apart bit-by-bit and study how each part fits together. Remember the order it came apart in and the details of how it’s made. And that’s how I made these! 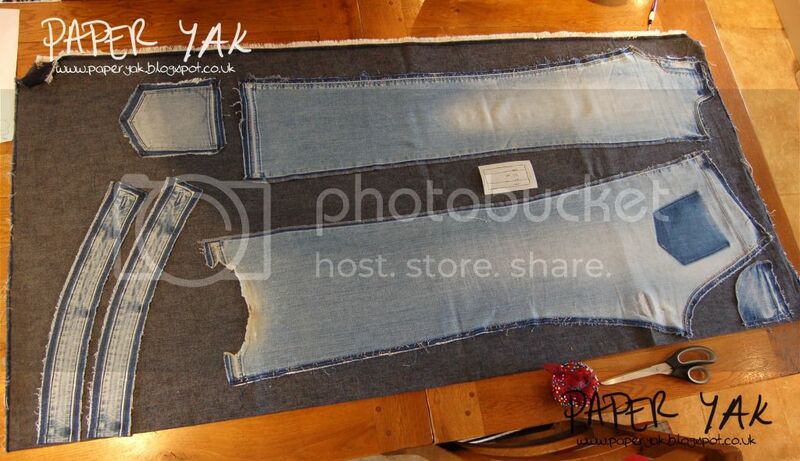 You see I worked out recently that excluding my own labour costs, I can make my own pair of jeans, using a ripped pair as my pattern, for about £9. Now that’s good value! Essentially all you do is using a stitch ripper, rip all the seams open, studying the construction as you go along and making notes on it. Then iron it flat, work out your layout and buy your fabric! Now, for my jeans I re-made an old favourite pair of light coloured flares out of dark denim. The one thing I would say to look out for is if there is stretch in your old jeans, buy stretch denim! If you can, take your old jeans to the fabric shop with you and try to get the same amount of stretch in the fabric you buy. 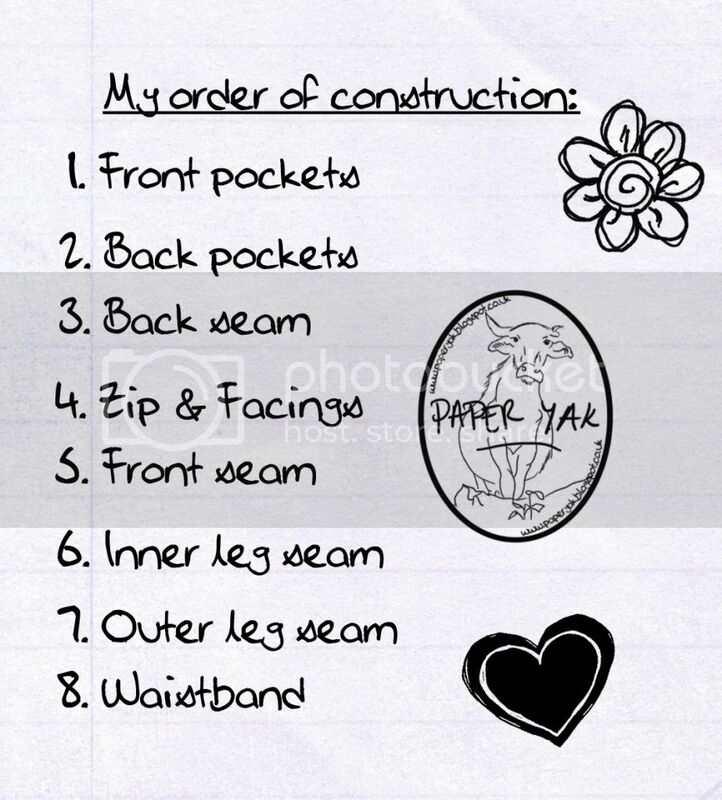 Then it’s a case of cutting it out and sewing it back together in the same order. Now, I’m not going to tell you how to construct your jeans as it really depends on the details (back pockets, rivets, zip/button fly etc.) but my suggestion is that you stick to the style you’re taking apart and that you keep an intact pair to help you see how it all fits together again. Take photos! 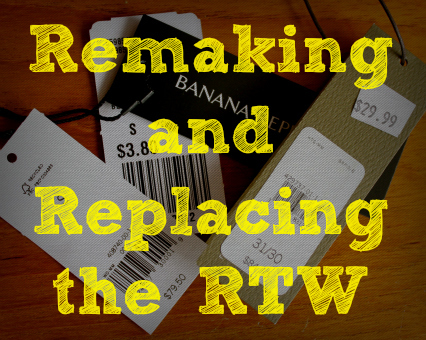 The more you know how it fitted together, the easier it will be to replicate. Keep your iron hot, on steam and to hand. Pin and iron seams securely and there’s no need to tack. Finish your edges! I can’t stress this enough! 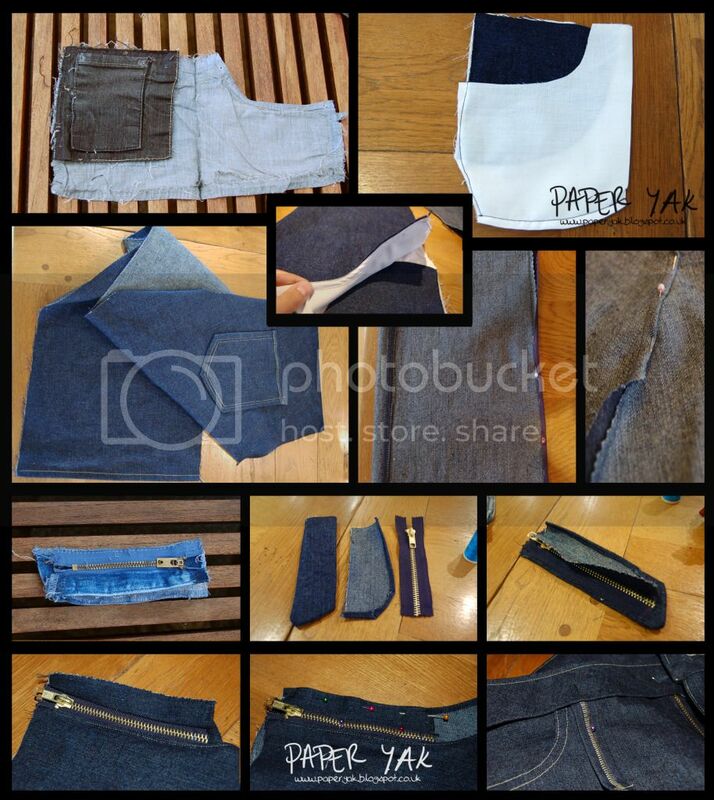 Denim frays like the billio so either turn and topstitch your seams or buy seam binding. My local haberdashery sells it at 28p per metre, so it’s not expensive and it secures everything! Once you’ve sewn the inside seams, try them on with the outside seams open. This means that should you really need to you could always add a strip down the outside edges to extend the fabric around your leg. Much easier than extending the under leg and crotch point! When it comes to zip facings, really concentrate and pin/tack things out of the way if you need to before you sew. There’s nothing worse than sewing your zip shut! And above all else, remember that sewing is not hard. It really isn’t! It’s just a series of straight(ish) lines and curves - and you can sew straight lines and curves!